James Augustus Henry Murray was born near Hawick /`hᴐːɪk/ or /hᴐɪk/ in Roxburghshire /`rɒksbrəʃə/ on the 7th of February 1837. A prodigious scholar, he taut himself at least the written forms of two dozen or more languages including Anglo-Saxon and Gothic. He knew the famous Scottish phonetician Alexander Melville Bell having attended one of Bell’s Edinburgh summer courses on “elocution”. Bell strongly influenced Sweet who produced his own version of a system of the kind of phonetic notation invented by Bell and called by him Visible Speech. It employed not alphabetic but physiologically based “organic” symbols to represent the sounds of languages. Sweet called his revised version of it rather more aptly his Organic Alphabet. By the time he was twenty Murray had become headmaster of a local school but before he was thirty he moved to London, at first to work in a bank. He soon joined the “Philological Society of London”. By 1873 he completed a book on The Dialect of the Southern Counties of Scotland which the Society published. He also edited several publications of the Early English Text Society. In 1870 he left the bank to join the staff of Mill Hill School just outside London to the northwest. In 1878 he was elected President of the Philological Society. In 1879, at the age of 42, he was offered the editorship of the Society’s very ambitious New English Dictionary on Historical Principles (“NED” as the present OED quotes it at times) which, when no longer very new, was in 1895 re-named the Oxford English Dictionary. 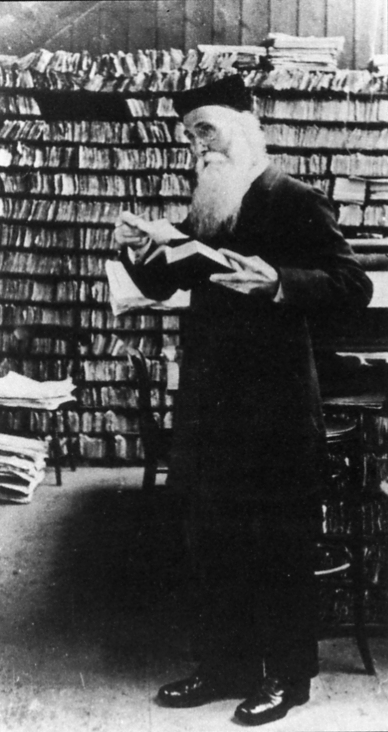 One of his editorial tasks was to draft and get a committee’s agreement on the form of the dictionary’s system of indicating pronunciations. The list of symbols decided upon for this contained 107 items: 74 for vowels and 33 for consonants (of which 7 of each were "foreign"). Compare this with EPD, LPD and ODP each of which has less than 60 symbols for the English vowels and consonants altogether. His consonant symbols for English sounds were much the same as the IPA ones today except for using the Old English thorn [þ] rather than the Greek theta [θ] and using [ɹ] for the r’s to be he’rd regularly from “rhotic” speakers but only in linking situations from “non-rhotic” ones. There were six symbols for foreign consonants including chi [χ] (= IPA [x]) and gamma [ɣ] (used as IPA). His vowel list was swollen by more than a dozen items labelled “obscure” which were (except one) basic symbols with breves over them (eg ĕ) intended, as far as one can judge, to indicate a quality intermediate between the normal value in fully strest syllables and a more centralised one that might be employed by a speaker avoiding producing a simple schwa in order to hint at the “full” quality. The exception was a dotted ė which was, one can only guess, me’nt to represent an alternant value intermediate between /ɪ/ and schwa. Some of these seem pretty odd now, one suggesting that some speakers might in particular circumstances say several as [`severɑl] and another, only slightly less improbable, that eg the normal form of maniac was /`meɪniək/. Some items catered for what we generally prefer today to term allophonic variants such as the non-diphthongal vowels of unstrest syllables that can begin obey and end survey and hero. The Jones EPD for its first thirty years so treated words like obey. Kingdon regularly preferred to transcribe the final vowel of words like narrow as monophthongal ascribing it to the /ʊ/ phoneme. The first vowels of eg react and duration as now shown in LPD etc are reminiscent of the way they were represented in “NED”. Other vowel representations were deliberate cover symbols, notably [ɑ] and [ǫ̀] as in chant and salt “to indicate the local or individual variants”. These in the 1989 OED2 were expanded to “(tʃɑːnt, -ӕ-)” and “(sɒlt, -ᴐː-)”. One archaic distinction, which Murray may perhaps have been encouraged to maintain from the influence of his early Scottish background, was the use of different symbols for the vowels of fir and fur as was still appearing at the time in reprints of Walker's 1791 Pronouncing Dictionary. Among other usages which have now become old-fashioned or obsolete is a centring diphthong in glory. Similar to that is a distinction between the vowels in sort and port. This is something which still survives in my own speech over sixty years after having left the locality, Cardiff, where I acquired it in childhood and where it has now apparently become obsolete. Like NED I have two monophthongs of the /ᴐː/ type, one closer and the other opener: both I think are within the spread of the current variants of the GB phoneme. Finally there is another vocalic feature which seems to have become obsolete in GB. NED had different vowel symbols for the words aye and eye. This distinction too lingers in my speech. These days I rarely have occasion use the now slightly archaic or regional aye but I strongly feel it to be [ɑːɪ] phonemicly different from eye [aɪ]. There wasnt much trace of [ɑːɪ] in the NED: probably the only other word shown having it was Isaiah, in which I dont have it, tho I do have it in Dai (a familiar form of David) thus distinguishing it from Di (short for Diana). This was, at one time at least, widespre'd in South Wales. Murray remarked (NED p. xxxiv) “The reference of the symbols to a permanent standard, such as the Visible Speech of Mr A. Melville Bell, will be made elsewhere...”. Alas it seems he never kept that promise. Now that John Wells has given an excellent detailed “introspective subjective” account of his feelings about the possibilities of elision of /d/, readers may be interested to hear how far it matches mine. His remark “I find elision of /d/ after /l/ much less comfortable than after /n/” I can certainly on the whole agree with. However, I dout if I’d hear anything strange about field-test with no /l/ particularly in fluent speech with other words either or both sides of it and no semantic context in which it might be awkward. I’m not so sure about boldness. In isolation at least, I dont think I’d feel it was acceptable to make it exactly rhyme with wholeness but I think one cd say it occasionally with the /d/ disappearing into an assimilation giving [bəʊlːnəs]. When John sez “For some reason I feel happier with elision in words beginning gold-: goldmine, goldfield” I think the reason is mainly that familiarity and contextual lack of ambiguity conduce to one’s being relaxed about how one’s utterance of the item will be perceived. I share his feeling about goldmine but I’m not sure about eg gold-rimmed and an elision in gold-hunger might be inhibited because it cd be heard as goal-hunger without a guiding pre-context. If I used a word which I felt to be unusual, for example referring to a bird I was calling a gold-hammer, I’d have a similar inhibition. Also elision wd be perhaps less likely in cases where the rhythm was very slightly less fluid because the word following gold was also stressed as in gold-copper (ore), gold-purple or gold thread. When John sez “I am not very happy with eliding /d/ in hands, finds, grounds, although I suppose it might be possible in casual speech. But eliding /d/ in fields, builds, folds feels impossible” I share his opinion that there’s a difference between the two types; but my feeling is that the second type would merely be markedly casual-sounding and his classification of /hӕnz/ etc I find extremely surprising. In fact I suspect that in ordinarily fluent speech it cd well be the more frequent usage. I can’t support that with specific numerous observations, it’s true, but I took a quick look thru my transcriptions of the recording for my book People Speaking. It contains half an hour of speech with 5, 572 words. I found no -lds-type words but noted eleven -nds-type ones. For anyone who’d like to listen to them the fifty-three sound files are available on this website at §4.1. I heard no /d/ in almost half ie five of the occurrences in this tiny sample (any doutful ones I guess I’d’ve shown with /d/). By item and line they were, with the elided /d/s italicised, 21/10 sounds, 24/9 grounds, 25/10 sounds, 34/9 hands, 36/2 depends, 38/3 hands, 40/6 sounds, 43/15 depends, 45/17 happened to, 50/11 handwriting. John added “Furthermore, I am reluctant to say that elision is possible in kindly ... and I feel it to be impossible in boldly.” I dout if I’d be at all surprised to hear anyone say /kaɪnli/ and I’m not sure I’d react sharply to hearing /bəʊlli/ at least if not as an isolate utterance. Of course handle an channel dont rhyme tho /hӕn.nl̩/ with an assimilation rather than an elision seems quite a possible variant. As to old man, I agree that /əʊlb mӕn/ is unremarkable but I’d classify it as relatively careful! I shdnt be surprised if an investigation were to find that the version of this phrase with /d/ elided was the predominant conversational usage. Certainly I shd expect it from people who use the markedly colloquial expressions old chap, old fella, old girl and old man as vocatives. These comments all apply to my impressions of people in general in England whose speech isn’t easily localisable. Recently Kensuke Nanjo of St. Andrew’s University in Japan asked “whether the elision of /d/ commonly takes place not only in /-ndC(-)/ as in "kindness" but also in /-ldC(-)/ as in "fieldstone" and whether they are the only context in which /d/ may be commonly elided within words in isolation...”. My reply was that it's a matter of close rhythmic cohesion making elision more likely regardless of whether it concerns isolate words or continuous speech. I mentioned as well that many more combinations can also have /d/ elision. He also asked was the elision of /d/ as in "finds, hands, lends" (and "builds, fields, holds") less common than that of "friendship, kindness, landscape" (and "fieldfare, fieldpiece, fieldstone")? A nice question. My comment was: The reverse is true, if anything, because the feeling by the speaker of the separate semantic identity of the elements of the compounds may well prompt keeping the /d/. As to why all three pronunciation dictionaries, EPD, LPD and ODP, register the possibility of elision of /d/ in compounds like handsaw and hands-free but never hint at it at the simple word hands, my guess is that — insofar as they even ever gave a thaut to the matter — they felt that it was so obviously automatic that they didnt bother to fuss with showing it. I'm reminded of one of the things I’m not madly enthusiastic for in LPD its arrow “→” indicating “variant derived by automatic rule” to draw attention to the fact that eg bridegroom can be heard often as /`braɪggruːm/. I also remarked to Kensuke: You can get elision of /d/ not only after /n/ or /l/ but any time it’s medial in a rhythmically close-knit group. So you can get it if eg down or some other word beginning with a consonant is preceded by rubbed, pegged, surged, moved, smoothed, hosed or hanged. Perhaps not so many would elide /d/ if the third segment was /h, w/or /j/ eg in field-hand, fieldwork etc. Recommendable related reading are both Gimson’s original account of elision at §11.10 of his Introduction to the Pronunciation of English (1980 etc) and Cruttenden’s updating of the treatment of the topic in its seventh edition of 2008 (§10.8) at page 251. A very concise comment is to be found at the LPD “panel” on elision at that word’s alphabetical place. From the point of view of EFL teaching there isnt any need at all to recommend the elided versions. On the other hand one shou’dnt criticise a student if elision is used. However, the /d/ shd of course never be released in such sequences. When I saw John Wells’s blog this morning I recognised immediately the phrase that triggered his comments as having been he’rd on a BBC Radio 4 “Today” programme in which the very well known senior BBC World Affairs Editor John Simpson was talking about Iran on the anniversary of his having flown forty years ago on the 1st of February 1979 from Paris to Tehran with the exiled Ayatollah Khomeini. — i.e. the weakened vowel quality was retained even though it is now accentedː. I don’t find this as surprising as he seems to. Simpson is in his sixties and was educated at St Pauls (London “public”) School and Cambridge so he can be fairly safely categorised as speaking with a not very modern “received” accent so I wd expect him not to resist accenting the contrasting syllables and to have as his normal value for the first syllable of democracy /ɪ/ a strengthened version of which wd have the same quality as his usual weak one. It may be that he is “modern” enough to have /də-/ as his usual version of that syllable in which case I shoudntve been surprised if he’d sed /`dəmɒkrəsi/. Also I shdnve been very surprised if he’d, perceiving the word as containing the syllables de-moc-ra-cy, sed it as /`diːmɒkrəsi/, especially as in that case he’d have the pleasure of rhyming it with the contrasted syllable. This last type of choice I shd back to be most usual with John’s other mentioned item 'de|'licious /`diː`lɪʃəs/. Walker’s 1791 Pronouncing Dictionary I interpret as recommending this as the rhetorical or solem’ vowel value to employ in saying such words. I dont think /`sətəv/ is very commonly accented but /`ʤəst/ certainly is which supports my contention that schwa can’t properly be said never to be accented. John adds I have also heard ˈɪndiə ən ði ɪndiˈənz India and the Indians. I find this commonplace. Stressing this schwa contrastively is particularly common when the positive and comparative forms of adjectives are contrasted eg `Not ˋˏtall but tallˋˏer. Also employ`ers and employ`ees are often contrasted accented so. I recently he’rd Not the ˋminority but the /`məʤɒrəti/. Regarding his other example /`bᴐː`rɪŋ/ with a pair of falls, I regard this as a very unusual single complex tone, a fall-fall comparable with a rise-fall. Plenty of them in Swedish. See my Blog 14. Robert Burchfield was born on the 27th of January 1923 at Wanganui, New Zealand, the younger son of a man who had once been a coal miner. After local schools and Technical College he began his working life teaching at the English department of Victoria University College in Wellington New Zealand. During the 1939-45 war he did military service partly in Italy. As a Rhodes scholar in Oxford he gained a BA in 1951 at Magdalen and later was appointed to a lectureship at St Peter's College where in 1963 he was made a fellow. In 1957 C. T. Onions, one of the editors of the OED, recommended him to the Oxford University Press to edit a proposed one-volume Supplement to it. Twenty-nine years later his prodigious work on it concluded with the fourth of the massive volumes in which he had maintained superbly the splendid standards of the original work. That had taken four editors from 1884 to 1933 to complete. While still working on the Supplement he was honorary secretary of the Early English Text Society from 1955 to 1968 and edited Notes and Queries from 1959 to 1962. His many other publications included editing Volume V of the Cambridge History of the English Language, English in Britain and Overseas, a variety of books, and numbers of articles and reviews. It has no dout seemed strange to some of the kind of people who look at these blogs that he never in his Supplement saw fit to replace Murray’s unnecessarily dauntingly complex notation of pronunciations with a more suitable system on the phonemic principle using the universally respected alphabet of the International Phonetic Association. They may even have imagined that this was so because he lacked expertise or interest in spoken English and its phonetics. Such a perception couldnt be farther from the truth. I vividly remember a weekend in the seventies when, enjoying his kind hospitality at St Peter’s College, I had long and stimulating discussions with him in which it was soon clear that his essential reason for not carrying out such a conversion was that he felt it undesirable that the supplementary volumes should not be in full harmony with the parent work. His interest in and command of the subject of phonetics was clearly demonstrated in his publications The Spoken Word (1981) and The English Language (1985). The former of these was a 40-page BBC booklet in which he threw himself into the debates about styles of pronunciation, vocabulary and grammar which had flared up at the end of the seventies. He proved to have a personal viewpoint that many today might find rather prescriptive and conservative. The other was a very concise (under 200 pages) but brilliant survey of the development of English from the earliest times to the present day which clearly revealed his wide reading in the subject and sturdy independence of views. His last work was the New Fowler’s Modern English Usage. He received various honorary degrees but no civil honours which no dout means that he must have declined offers of them. Few in his field would have been as worthy of a knighthood. He died on the 5th of July 2004. I’m surprised to see John Wells confess today that he’s finding it a bit of a struggle to keep up his punishing self-imposed programme of producing a blog on each of five days per week: it’s not the impression he gave me when we chatted about the matter last August. I think the remark must be just due to a passing low mood. Beats me! is ... an English intonational idiom, in that it cannot be said with any other tone than a fall-rise. Aside from the matter that I don’t really think that intonational idiom is an appropriate term for the phenomenon, I insist that it’s very doubtful that any word or phrase in English can only be sed with one tone. Admittedly this expression is a rather special one. For one thing it’s plainly completely colloquial: it’s grammatical character is such that, with its ellipsis of any initial subject pronoun, it would be out of place in any ordinary piece of prose. It's a higher score even than mine. If it’s objected that, tho I havnt changed the accentual structure of the phrase, I’m not using the same expression because I’m not employing the words in the same meaning, I wd point out that intonation depends on meaning and there is nothing specially idiomatic about using a fall-rise tone in such a type of semantic context, here contrasting one person with some other or others. It’s what one wou’d predict so it can hardly be properly termed "idiomatic". If I wish to keep basically the same meaning, I can change the intonation by uttering the expression in a different (say whimsical) manner, using a tonal combination that usually signals either physical or psychological remoteness, to indicate that I don’t feel any real (emotional) involvement or interest in the problem in question. This I can do by using a descending sequence of level tones (a type of intonation called rather ineffectively in some quarters “idealised”) thus: ˈBeats ˈme. Finally, of course any phrase can be given an expressively neutral citational intonation which will be, because two accented syllables are involved, high level plus low fall ie ˈBeats ˎme. This intonation cd also, probably with some sort of appropriate concomitant marked paralinguistic features, be used to suggest (by contrast with the whimsicality of the level-tones sequence) a bored, indiff’rent, dismissive comment. Burns, the greatest Scottish poet, was born 250 years ago on the 25th of January 1759 at Alloway in Ayrshire in southwestern Scotland. He apparently won the reputation of being a dangerous rebel who was especially against all orthodox religion. His Poems, Chiefly in the Scottish Dialect appeared in July 1786. He had been determined to publish them before leaving behind the grinding poverty of tenant farming to try his luck abroad but their success was immediate and overwhelming. Simple country folk and sophisticated Edinburgh critics alike were wowed by the book. The upshot was that Burns set out for Edinburgh in November of that year and was there universally lionized. After a scandalously turbulent love-life he finally settled into marriage with the mother of twins he had fathered. At the end of his brief career he had become a respectable exciseman at Dumfries. Perhaps his masterpiece, Tam O’ Shanter, is a poem that has given the English language the word for a kind of soft hat mainly for girls. ˈnᴧrsən ər ˎrɑθ tə ˈkip et ˎwɑrm. 1. This is not a phonemic transcription so the length marks are to be exactly observed unlike the blanket colons on GB (General British pronunciation) represented in dictionaries. Correspondingly colonless vowels are really short. 2. [e] is like the beginning of /eɪ/ in GB, not like GB /e/ which is more like Cardinal [ɛ]. Thus “et” is like GB eight sed too quickly to let it become diphthongal. 3. [o] has Cardinal value so “on” sounds like GB own sed quickly. ampoule This spelling is offen used by speakers using the pronunciation corresponding to its variant ampule. aren’t I This spelling is perfectly appropriate for the contraction of “are not we” etc but not for the contraction of “am not I” which in the past has sometimes been spelt “an’t” and “a’n’t”. ate This past tense form of the verb to 'eat' is a most notable example of this process. Its spelling properly belongs to the less usual GB form /eɪt/ which, tho it's gaining ground recently, is much less offen used than /et/. The pronunciation /et/ properly belonged to the spelling 'eat' the normal one also of course for the verb's present tense. We may compare the verb 'read' which has the same vowel change from present tense to past but fails to change spelling accordingly for its past tense form. Regionally, the same vowel alternations occur in some areas to the verbs beat and treat. You may notice that I prefer to use for the past of 'read' my spelling 're·d' with an internal dot to assure you it's not a typo. Bolognese as the name of a sauce is most often in Britain /ˈbɒlə`neɪz/ clearly an Anglicisation of French bolognaise rather than the Italian of the spelling. camellia, the shrub, was named after a Moravian botanist known as Camellus yet it is generally heard not as /kə`meliə/ but as /kə`miːliə/. carburetor seems to be the most usual spelling of this word yet we mainly say it as better reflected in the form carburettor and in the US reflecting an older spelling carburator. colonel is pronounced by everybody as if it were written kernel but, as OED tells us “coronel was the prevailing form till 1630, but disappeared in writing c1650”. consummation is frequently given the pronunciation of the different word consumation. diocese The classical English spelling from the 16th to the end of the 18th century was diocess which “was the only form recognized by Dr. Johnson and the other 18th century lexicographers, and was retained by some ... in the 19th, in which, however, diocese ... became the established spelling (OED). Even so /`daɪəsɪs/ prevails over /`daɪəsiːz/. dissect is nuch more often pronounced as if it were disect. fantasia is a borrowing of Greek φαντασια which by normal practice wd be written phantasia but an Italian spelling has been adopted largely without the corresponding anglicisation /fӕntə`ziːə/. genealogy is usually he’rd in at least the US as if spelt “geneology” according to the Oxford DP and MWebster Online. gaol This spelling is common in the UK in the names of prisons but the pronunciation used is always the one that belongs to the alternant spelling jail. Borrowings from different dialects of medieval French. hiccough is unlike the others in this list in that it's very dou'tful that a pronunciation */`hɪkɒf/ has ever existed. It's merely a silly wou'd-be etymological way of spelling /`hɪkəp/. homogeneous is offen he'rd as /hə`mɒʤɪnəs/, the pronunciation that belongs to the less usual word homogenous, rather than its orthodox form /hɒmə`ʤiːniəs/. lasagne. For this /ləˈsanjə/ is recommended by the BBC in its Guide (OBG) tho this plural /la`zaɲɲe/ cd be expected to be anglicised as /lə`zӕnjeɪ/. LPD3 has only lasagna. EPD and ODP have both but suggest that they both mainly have the same ending /-ə/. launce, the name of a kind of eel, OED and EPD agree on having as /lɑːns/ for British usage. ODP thinks it’s only /lɔːns/ here. LPD3 omits this uncommon word. Looks like a survival of a now very rare type of variant. George V sed /lɑːnʃ/ for launch. lieutenant is in GB /lef`tenənt/ after the obsolete variant leftenant. Michelangelo /maɪkl̩`ӕnʤələʊ/ the artist rarely gets a normally anglicised match for the Italian spelling but he’s he’rd as if spelt Michael Angelo. mineralogy pronounced ending /-`ɒləʤi/ is deplored by LPD3. The version is not noted by EPD or ODP in British use. ODP judges it the sole American version. margarine OED’s editor Murray in 1902 (at Oleomargarine) noted that it was ‘Often mispronounced ... as if spelt margerine’, ie with /-ʤ-/, the current normal form. pharyngeal is pronounced, notably by many phoneticians, not as /fӕrɪn`ʤiːəl/ but as /fə`rɪnʤəl/ which is more appropriate for the spelling pharyngial. Cf callipygous. premier is from time to time to be heard from newsreaders etc as /`premiɛ/ which is the pronunciation that belongs to première. Many Americans have the same form for both but it’s /prə`mɪ(ə)r/. presumptious is to be heard from some speakers who would write it presumptuous. Same goes for sumptuous. Compare also the way that, for nuptials, “nuptuals” is heard (more records of this spelling in Google than for nuptials! — tho none in past centuries according to OED). sacrilegious shd reasonably be expected from its spelling to rhyme with egregious but it’s so very commonly to be heard rhyming with religious that that's the sole version offered by LPD3, EPD and ODP. schism in the 16th century had its spelling changed, in order to reflect its Greek origin, from cism which was the way it was and still is largely pronounced. /skɪzəm/, once considered incorrect, is now fast gaining ground. scone has almost always been so spelt but is generally pronounced according to its rare spelling scon. self-deprecation. Until the middle of the last century, if one met this it cou'd be fairly confidently dismist as a misprint but it's now more or less completely ousted the former "self-depreciation" as the usual term for the idea. OED3 has one quote (of 1877) but two for the its replacement (of 1924 and 1977). sinfonia (cf fantasia) wd at one time have been normally transliterated from its Greek original as symphonia and pronounced /sɪm`fəʊniə/. However, it’s now always spelt as in Italian sinfonia tho not necessarily pronounced /sɪnfəʊ`niːə/ but very often given the Greek-based pronunciation even in an Italian combination like sinfonia concertante. spinach existed for four centuries in the two forms spinach and spinage. We've kept the first spelling but the second pronunciation. surveillance is a slightly problematic case but what is certain is that one has fairly often he'rd speakers who give this word not its usual pronunciation /səˋveɪləns/ but one that suggests that they are either taking it to be spelt surveyance or that they think of it as having a pronunciation without l-sound such as it receives in its language of origin, French. LPD3 doesnt include this version for British usage. technic Some American speakers according to Merriam Webster Online have /tek`niːk/, as if for technique, as a pronunciation of this word. tureen This was in English first spelt terrene and terrine, but later changed to tureen possibly by association with Turin. The old pronunciation /tə`riːn/ is still current and even predominant in America according to ODP. uncharted/ʌn`ʧɑːtəd/ is often heard for this from speakers who normally make -ed /-ɪd/ in reference to "waters, territory" etc. varicose is very offen if not predominantly related to the pronunciation /`vӕrɪkəs/. This is probbly by confusion of its suffix with -ous but it's not impossible that it cd be a survival of the word varicous which OED records show in use from 1598 to 1786.
we're As noted at Blog 278, the usual pronunciation of this as /weə/ is as likely as not to have descended from the obsolete form /eə/ of are. PS See Blog 451 for a further dozen or so examples. In his blog today John Wells returns to the topic he refers to as “intonational idioms”. That's in fact a term I dont think I shd wish to apply to the expressions he discusses because the idiomaticness or peculiarity of them seems to me not to lie in the speakers’ choices of tones for use with them but in their elliptical or ironic semantic values. Given the peculiar or special meanings applied to the expressions, the choices of tones seem to me to be unremarkable. When he raised this topic previously, the comments in my Blog 7 showed that I didnt always share his intuitions about which tones are possible on particular expressions. I gave the example that ˈWhoops! with a level tone which he seemed to suggest was impossible seems fine to me because level tones as climaxes (‘nuclei’) can sound airy, insouciant, whimsical or emotionally neutral etc. However, that's not my main subject today because I want to offer some examples below where I feel that, given the relatively unusual senses in which the expressions are employed, the choice of tone is normal. (1)ˋBeats ` ˏme: elliptical, rather unusual application of “beats”. Cf Others may have the answer to this problem but it con`founds ` ˏme. Compare It `beats `ˏme = it defies solution by me with It ˈbeats `me = It's a higher score than mine was (or the like). (2)With level tones ˈSearch ˈme, while saying “I dont know” rejects emotional involvement. With ˋSearch ` ˏme I feel the idiomaticness, such as there is, again resides in the vague elliptical unusual sense of the expression. Contrast the literal use in eg I havent got your pencil and, if you like, you can search me if you dont believe me. ˈNo iˈdea on two level tones would constitute an airy dismissal eg unsympathetically dropping the topic. (4) Don't ˊˋmention it. = An emphatic dismissal of an expression of gratitude as unnecessary. Cf ˈThat's ˊˋquite alright. Is he being difficult again? — Don't ˊˋask! = Most certainly. Contrast the literal You’re ˈwelcome to ask ˏothers but ˈdon’t ask ˎme. You shd `know by `ˏnow| that I find such questions ˈirritatingly ˎpointless. I expect they'll put the price up. — Don't ˊˋworry! = You can count on their doing that hated thing. This irony incorporates a faintly jokey suggestion that the person addressed might be concerned that "they" wou’dnt do so. You'll `make a com`ˏplaint, `won't you. — Don't ˊˋworry! Cf the similarly used ˈNever ́`fear! which is not only semanticly but grammaticly unusual (archaic). Contrast the un-ironical ˈDon't ˏworry! It’s of ˈno im ˏportance. (6) ˈGood for ˈyou with level climax tone betokens minimal emotional involvement, an emotional remoteness parallel to the physical remoteness which so often correlates with such tones. Contrast `Good for ˎyou or `Good ˏbye | and `look ˏafter yourself. These are maximally sympathetic. This reads as if he thaut this wasnt a common version of the word. However, LPD3 shows that he’s well aware of its existence. He includes it accompanied by one of his condemnatory traffic-warning triangles with the exclamation mark inside it which latter presumably emphasises his shock-horror reaction. This contrasts with Roach & Co in the EPD who list it as a variant without comment. ODP’s editors, both British and American, clearly consider it the predominant usage. This is quite surprising coz educated folk in the States are more likely to know something of Spanish than their British equivalents. Anyway MWO (Merriam Webster Online) give it only second place tho they do treat it as notable enough to illustrate its pronunciation. I notice LPD3 at the ch-containing word bruschetta records the un-Italian /bru`ʃetə/ version but makes no “triangular” complaint. There are various other words where we find variability of usage in regard to interpreting <ch>. For chiropodist Jones, who had only /k-/ at first, later added the /ʃ-/ and /ʧ-/ variants we find in EPD today. LPD3 doesnt include /ʧ-/. Nor does ODP. No-one seems to have /ʃ-/ or /ʧ-/ in America. An illustration of the way the (online) OED3 is improving on OED2 is machination. In OED1/NED in 1904 Bradley gave only /-k-/ which OED2 repeated. OED3 now gives /-ʃ-/ as well. Clearly this older borrowing than machine shows the analogy of that word influencing many to switch from /-k-/ to the /-ʃ-/. When it comes to the even more unusual deus ex machina ODP gives priority to /-ʃ-/ (for British usage), LPD3 has it as a variant and EPD has no record at all of such a form, only the /-k-/ version. On chivalry OED comments “As a ME word the proper historical pronunciation is with (tʃ-); but the more frequent pronunciation at present is with (ʃ), as if the word had been received from modern French”. The word niche, recorded only with /-ʧ/ until Jones’s earliest dictionaries noted a /ʃ/ variant, is now so little he’rd with /-ʧ/ that EPD from 1997 omits that variant completely. The USA has not gone this way. The word chicanery was no doubt anglicised at more than its strest vowel earlier on, as OED suggests. I can't help wondering if the fact that we find /ʃ/ for <ch> in certain US names like Chicago and Michigan owes something to early French influence. Praps some reader'll put me wise. Words ending -ich are mainly names except for rich and ostrich. For the latter I use /-ʤ/ (usually in the singular and exclusively in the plural) which is now agreed to be a minority form by all the three pronunciation dictionaries. It’s often doutful what people say for some names. Historically an /-ɪʧ/ form of them came first but became weakened to /-ɪʤ/ before literacy became general and started turning the clock back. Ipswich was completely reversed, regaining its /w/ as well. Jones first (in 1917) listed Greenwich, Norwich, Harwich and Woolwich only with /ʤ/. They all now have at least variants with /ʧ/. The placename turned common noun sandwich he did record with the /ʧ/, a variant they likewise all have now, if it isnt the predominant choice. By the way, a pretty extraordinary value for ch is to be found in the Yiddish loan chutzpah with its /h-/ or /x-/. And a final thaut: ch is treated as a separate letter in the alphabetisation of Welsh, Spanish (tho not Portuguese) and Czech.